This article considers early boats in Scandinavian spanning a timeframe from Early Mesolithic colonization at c. 9500 cal BC up until the beginning of the Late Iron Age around AD 600 from a northern Norwegian perspective. 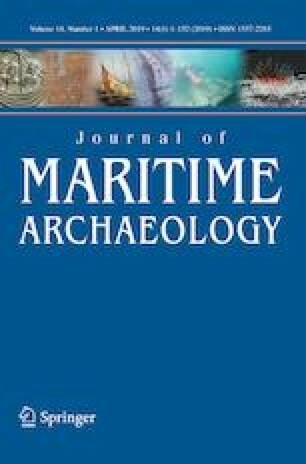 The role of boats in current models of maritime colonization and proxy evidence from carved rock art images of Bronze Age to Early Iron Age boats are evaluated before focusing on newly dated boat remains from bogs in Arctic Norway currently housed at The Arctic University Museum of Norway. These include paddles predating the Iron Age and finds supporting the existence of rowed plank-built vessels in the early Pre-Roman Iron Age (500–0 BC). Rowing evidence includes a boat frame and oar radiocarbon dated to the sixth to fifth century BC and two oars from the later Pre-Roman Iron Age. Consequently, a revision of thinking about early Iron Age boat development is necessary, not only in Arctic Norway but also elsewhere in Scandinavia and Fennoscandia. The context of the earliest plank-built vessel in Scandinavia, the paddled war canoe from Hjortspring, Denmark, dated to c. 350 BC, is reevaluated in light of a probable coexistence with rowed boats. First, I wish to thank traditional boat builder Gunnar Eldjarn for his invaluable contribution to the bog boat project through shared nautical expertise and knowledge. His insights into how boats work coupled with experimental attempts to understand oars from the Pre-Roman Iron Age were a key contribution. Comments from Arne Emil Christensen on tentative interpretations of early boat remains were also greatly appreciated. The Arctic University Museum of Norway provided generous funding for dates and dendrochronologist Andreas Kirchhefer played a key role in selecting dating samples.